So you’ve finally had it with your small, closed-off kitchen, and you’re ready to knock down a wall and give yourself some more room and an open kitchen layout. There are lots of advantages to an open kitchen design, but of course, there are some drawbacks as well. Before you make the decision to knock down a wall or two, read our blog on the pros and cons of converting to an open kitchen! What are the pros and cons of an open kitchen? Learn more in our blog. More space is the main reason most people choose to convert to an open, and as such, most people consider this aspect a definitive pro. A more spacious room certainly gives you more room to breathe and move around in the kitchen, which can be refreshing after spending many hours in a cramped kitchen. However, it’s important to remember that a bigger kitchen means things are more spread out, so you won’t be able to access things you need as quickly. That’s why it’s important to layout your new kitchen in an ergonomic and efficient way. 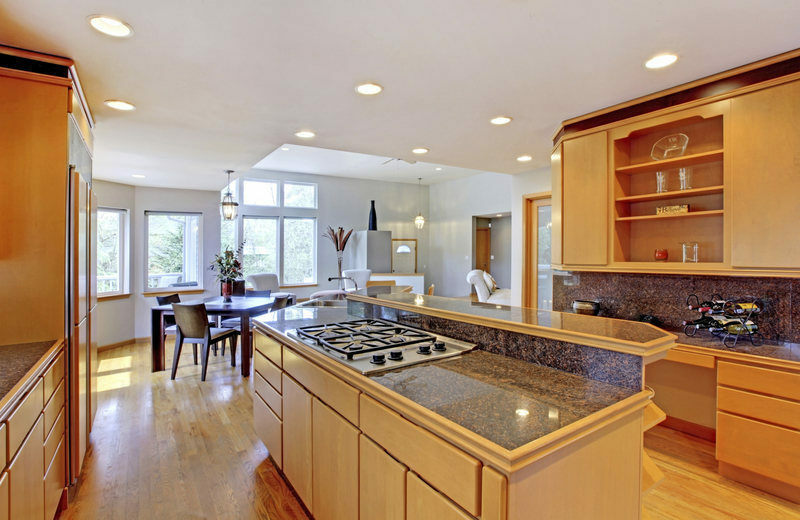 Open kitchens definitely are conducive to a more social environment in the kitchen. If you want to use your kitchen as a space to entertain guests, or simply like a little company when you’re cooking, then an open kitchen layout fits these needs perfectly. However, if you’re the type who prefers to work alone without distractions, you may want to reconsider just how open you want the design to be. Also, if you prefer for the kitchen and eating space to be separate, make sure they’re clearly delineated in the design of your new kitchen. As far as the sights and smells of a small kitchen vs. an open kitchen, there’s a bit of a give and take. With an open kitchen, you get much longer sight lines, which creates an expansive feeling that many people enjoy. On the other hand, the smells of the kitchen will travel through the home much more easily in an open layout than a small one. While many people like the smell of food cooking, you might not want a large portion of your house to smell like the kitchen. 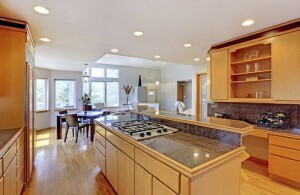 The costs of converting from a small kitchen to an open kitchen can be extensive. If you know you want an open kitchen, then you may find it’s well-worth the investment. At the end of the day, it’s up to you to decide what’s best for your home and your family. This entry was posted on Wednesday, July 1st, 2015	at 7:39 pm	. You can follow any responses to this entry through the RSS 2.0	feed. Both comments and pings are currently closed.